"This thing looks like it was made by an EXPERT. Well built and has plenty of room to add decals. Paint goes on super smooth thanks to the quality of the prep. Axles GO RIGHT IN PLACE. We took FIRST with this kit." This is an Official BSA block with drilled axle slots that conforms to all Cub Scout rules. Wood is sealed and primed. You can leave as is, or paint over it or just add decals and off you go! Car is balanced and rear weighted for optimal speed. Axles have been inserted once so you can easily insert your wheels immediately. There are 5 small holes on the bottom so you can add small amounts of weight to bring the car up to 5.0 oz...use Tungsten BB's or Tungsten Putty. The only tools you might consider are the Wheel Spacer (spacing between wheel hub and car body) and the Axle Puller-Inserter Tool (for inserting and removing axles without damaging your wheels). This is a pre-weighted car body only and does not include axles or wheels. This is the perfect car if you are short on time, don't have tools or are not comfortable using tools. We raced the other day with our pack. There were 30 cars that raced in a tournament style race with 2 cars racing at a time. We won every single race and took home the trophy. Until the final 5 cars, we won by a pretty good margin. The person who won second had this exact same car (I'm not sure if it came from here or what, but same drill holes and cutouts for the weights and everything), but you could tell their's wasn't preweighted. With wheels ours weighed 5 oz on the dot, we didn't have to add any weights. Overall a great car and we were very pleased. We were very pleased with this model. 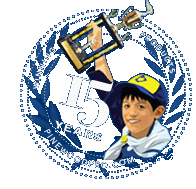 Our son won 3rd place in his recent Pinewood Derby! The car won every heat but one! Read the reviews of this car body on multiple sites. They all raved about the car and its near perfect performance. The car came and was in pretty good condition. It needed some sanding before painting. Performance was similar to other cars that are weighted correctly. If you have the time, it is much better to build your own or use a body that you can add your own weights. If you do not have the time this would work. However you are paying a premium for convenience. Single mom has been doing these cars with my boys for years, and won 2nd or 3rd at least in the den runs and made it to the finals. With this car he was a secoond to two behind. Weight was dead on so don't know if I should have gotten better axles and wheels. The only happy ending this year was the car is nicely shaped and his paint job won. Won every heat, sometimes by more than a car length! The Grey Ghost is a Great car!! The car won 1st place in our local pinewood derby. It doesn't get any better than that. The weights were perfectly placed inside the car when I received it and it was ready for me to paint the top coat. The primer was already on it. Next year if I get this car again I will sand it with 600 grit sandpaper before I paint it for a perfect looking finish. Second year in a row to buy this car. Last year the car was in perfect shape on arrival. This year the car has numerous small dings on the body - appears to have been dropped, slightly damaged, then shipped anyway. If you want a car to just paint & race competitively I still recommend it. This thing looks like it was made by an EXPERT. Well built and has plenty of room to add decals. Paint goes on super smooth thanks to the quality of the prep. Axles GO RIGHT IN PLACE..We took FIRST with this kit. Car needed only paint, wheels & axles installed and a little additional weight. We ran 3rd in our pack, and the car was running faster every race. Simple but awesome,just what we needed. Nice sleek design, real time saver, all you need to do is fine tune weight to your add ons and away you go. Would definetely purchase again. We were short on time...this was the answer! We were about to do the spongebob derby! yellow paint square block... Found Pinewood Pro on the net and next thing I know My son wins the entire event !!! Verified the legality of the pre-cut car and off to the Finish Line! Thanks Joe!